Private well owners. You must maintain your well in good condition and check the quality of your water to know that it is safe to drink. The Anoka County Community Health and Environmental Services Department recommends that you test your private well water annually for Coliform bacteria and nitrate-nitrogen. Environmental Services Well Water Testing webpage. Parents. Babies are at greater risk of harm from water contaminants. It is important to test the water that you use for drinking or preparing infant formula. 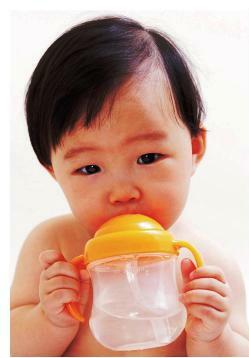 Babies drink more water for their size than older children and adults. Babies’ developing brains and organs are more susceptible to injury and damage from harmful substances in drinking water. Test your well water before or during pregnancy. Most well water in Anoka County is safe, but some well water has contaminants in it that can make babies sick or harm their development. We take extra steps to protect babies in our homes by installing safety latches on cabinets, covering unused electrical outlets, etc. Testing your private well is another easy step to make sure your baby has a healthy start. The Minnesota Department of Health recommends testing for five contaminants in well water to give your baby a healthy start. Some of these contaminants can pass from mother to baby during pregnancy. mg/L = milligram per liter (or parts per million). μg/L = microgram per liter (or parts per billion). Coliform bacteria (test yearly). Coliform bacteria can indicate that other infectious bacteria, viruses, or parasites may be in your water. These may cause diarrhea, vomiting, cramps, nausea, headaches, fever, and fatigue. Infants and children are more likely to get sick or die from infectious diseases. Any level of coliform bacteria may be harmful. Lead (test at least once). Lead can damage the brain, kidneys, and nervous system. Lead can also slow development or cause learning, behavior, and hearing problems for children. Babies, children under 6 years old, and pregnant women are at the highest health risks from lead. Homes constructed before the lead ban for plumbing materials (in 1987) may result in lead that can leach into the water. Other sources of lead in the home (e.g. paint, tools, etc.) can also affect a child’s level of lead exposure (see lead poisoning prevention webpage). Any level of lead in drinking water may be harmful. Manganese (test at least once). High levels of manganese can cause problems with memory, attention, and motor skills. It can also cause learning and behavior problems in infants and children. The water may be harmful for infants and children when the manganese level is above 100 μg/L. Arsenic (test at least once). High levels of arsenic can contribute to reduced intelligence in children and increased risk of cancers in the bladder, lungs, and liver. Arsenic can also contribute to diabetes, heart disease, and skin problems. Any level of arsenic may be harmful. MDH highly recommends treating water with arsenic above 10 μg/L or finding an alternate source of water. Anoka County provides well water testing services for the listed contaminants to residents. Check the Environmental Services Well Water Testing webpage or call 763-324-4260 to get a testing kit. Laboratory fees are collected when samples are submitted for analysis. *Adapted from Well Water ands Your Baby (Minnesota Department of Health).